Special Offer: British Airways are offering discounted flights on BA and its joint business partners' Japan Airlines and Finnair between the UK and Japan. Conditions apply. This is an exclusive offer for delegates attending trade missions organised by the Department for International Trade (DIT). The offer is extended to members of Export to Japan too. The morning arrival of the Heathrow-Haneda flight allows business travellers to make the most of their day. The service’s time also facilitates onwards connection to other routes on the British Airways/JAL network for both business and leisure travellers. British Airways (BA) has a joint business agreement with Japan Airlines (JAL) and Finnair (AY) which sees the three airlines cooperating on all non-stop flights between Japan and Europe providing customers with a greater choice of flights. This includes 21 weekly services between the UK and Japan, as well as JAL and AY’s services from/to Paris, Frankfurt and Helsinki. Finnair operates direct services from Helsinki to Tokyo, Osaka and Nagoya. This partnership gives customers the flexibility to use a combination of JAL, AY and BA flights, as well as aligned fares, on travel between Europe and Japan. JAL and BA’s network spans 65 European cities and 32 cities within Japan to greatly improve travel convenience, and further expansion of code-share arrangements is expected in the future. BA’s partnership with Finnair also offers further flexibility to passengers travelling from various destinations in the UK via Helsinki onwards to Japan. – This offer is available for all published Economy and Premium Economy fares (World Traveller Cabin and World Traveller Plus) including promotional fares. – You must join BA’s On-Business Membership (free sign-up) to be eligible for this exclusive Export to Japan discount. – Export to Japan members can use this offer as many times as they wish to travel. 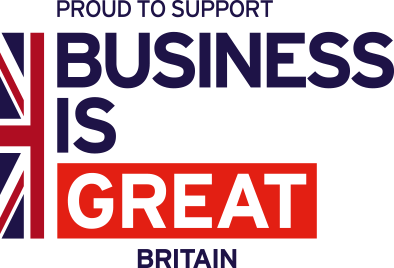 – In addition to being a registered member of Export to Japan, you must be a member of the British Airways ‘On Business’ programme to access this offer. – You will be asked to enter your On Business membership number as part of the booking process. – Discount is applicable to BA flights, BA codeshare flights with JAL, JAL and AY operated flights. – Export to Japan members are eligible to use this services for unlimited times until offer is discontinued.